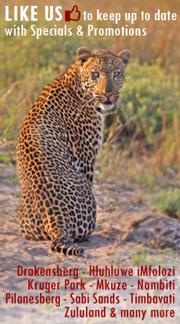 Bonamanzi Game Reserve in Zululand, South Africa is close to the Hluhluwe Village and extends to the Hluhluwe River and False Bay Park on Lake St Lucia. One of KwaZulu-Natal’s premier birding destinations this park offers a variety of wildlife in a variety of habitats, coastal grassland, tropical forst and woodland. 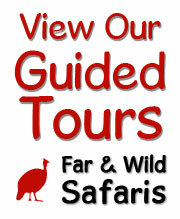 For a Big Five game experience the Hluhluwe iMfolozi Park is only some 20 minutes drive away. 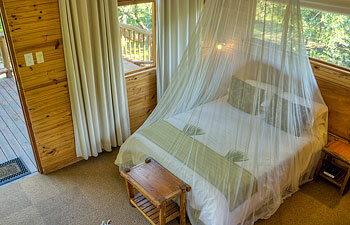 There is a variety of accommodation available from Self-Catering Tree Houses, Lodges and Lalapanzi Camp where there is a restaurant that may be used by all facilities. 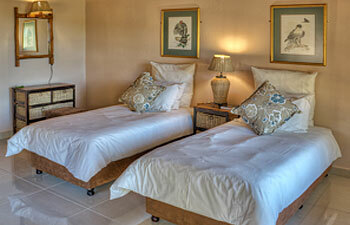 Sleeping 2 in single beds these self-catering units have a bedroom, separate kitchen with 2 plate mini-oven, a microwave and a fridge and then a bathroom with shower and toilet, bath towels provided. Basic cutlery, crockery and utensils are supplied although dishwashing fluid, cloths, firewood and swimming towels are not provided. 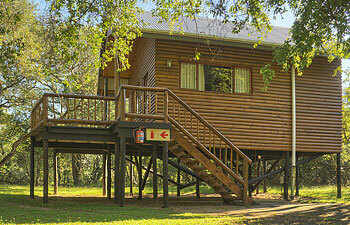 Each tree house has 1 twin and 1 double room, sleeping a maximum of 4. 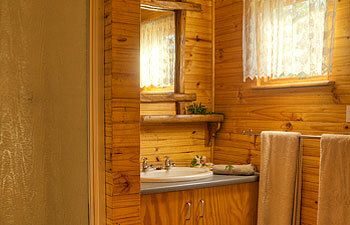 These self-catering units have the bedrooms, separate kitchen with 2 plate mini-oven, a microwave and a fridge and then a bathroom with shower and toilet, bath towels provided. Basic cutlery, crockery and utensils are supplied although dishwashing fluid, cloths, firewood and swimming towels are not provided. 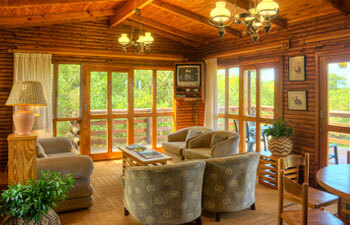 Game Lodge accommodates a maximum of 6 people. 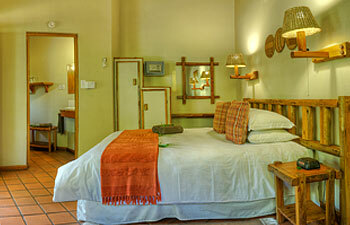 It has 2 double bedded air-conditioned rooms, and then 2 rooms with single beds, ceiling fans only in these two rooms. 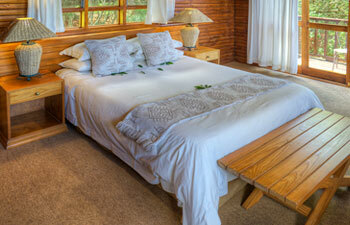 This self-catering lodge is serviced daily and has all necessary basic equipment. DSTV selected channels are available. This lodge has its own swimming pool. Note swimming towels not supplied. 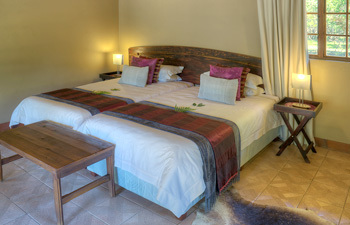 Three air-conditioned rooms accommodate 6 in total (2 rooms with double beds). 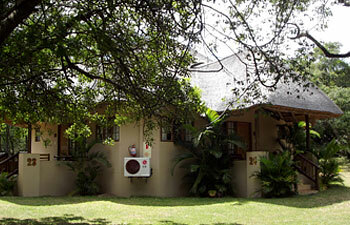 This fully equipped self-catering lodge is serviced daily, towels are provided for showering. Bring a towel for swimming. DSTV selected channels are available. 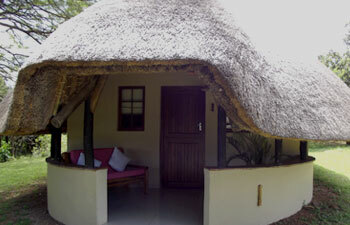 This Luxury Unit accommodates 6 people three chalets, 1 double and 2 twin thatched rooms. 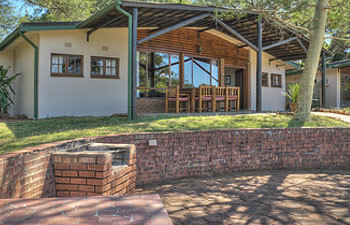 This self-catering lodge is serviced daily, set on the bank of a waterhole, there is also a swimming pool, bring a towel for swimming. 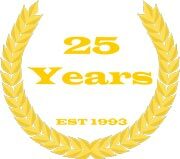 DSTV selected channels are available. 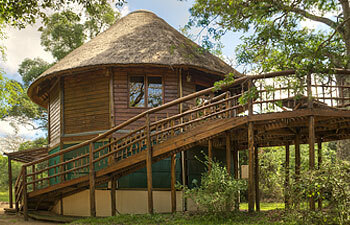 Lalapanzi Catered Lodge can accommodate 76 guests in total. 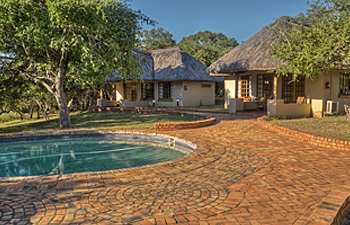 consisting of 10 thatched twin-bedded chalets with air-conditioning & en-suite bathroom, as well as 28 thatched twin or double bedded inter-leading, air-conditioned, en-suite combo rooms which are ideal for families. 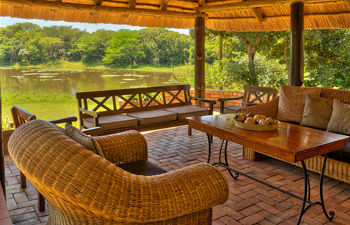 A lounge built on stilts over the dam provides one with beautiful sunset views and is excellent for birding and game viewing. Lalapanzi has its own swimming pool. All you need to bring along is a towel for swimming. Dinners and Breakfasts are served at the Lalapanzi Restaurant. 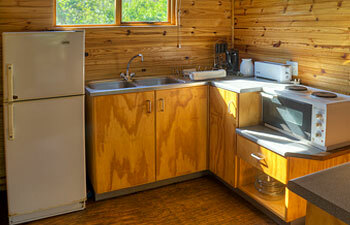 This basic unit accommodates 10 people in total. 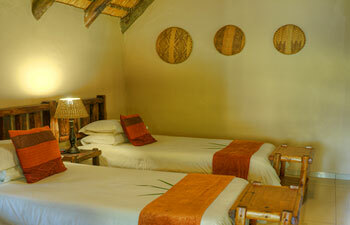 It has 1 twin room, inter-leading into a double room, plus a dormitory style room sleeping 6 with single beds. 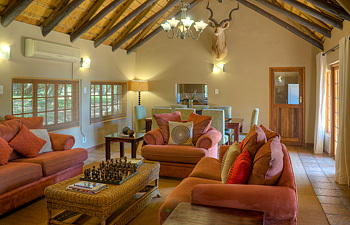 This self-catering lodge is not serviced. 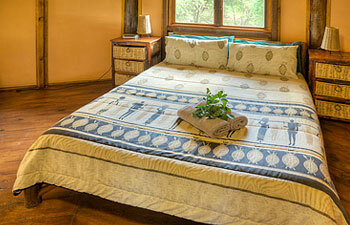 Bring own linen for beds, bath towels and swimming towels.